Navid: If you like the sweet taste of roasted garlic, you will love this healthy soup. 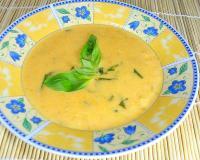 This soup is not only full of antioxidants but also the perfect treatment for the common cold. 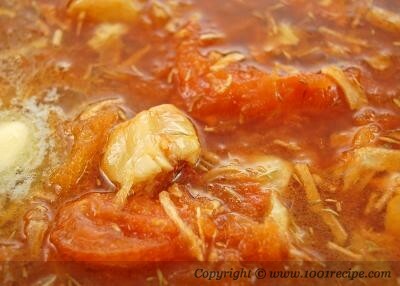 Put aside all the health benefits, it is also a very easy and quick soup to make. First we need to slice off the top of the garlic bulb. Before roasting in the oven, drizzle over garlic and tomatoes with olive oil and sprinkle over with salt and pepper. After roasting, we will have sweet and soft garlic that can be easily squeezed out. Now it's time to add vegetable stock, spices and herb and develop a nice flavor. 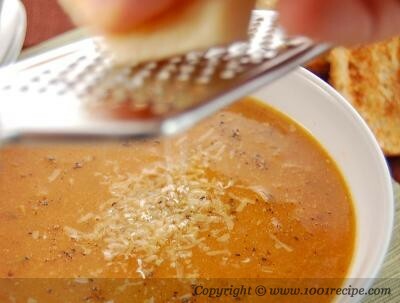 After pureeing in the food processor, grate some Parmesan on top and serve with some toasted breads. 2. 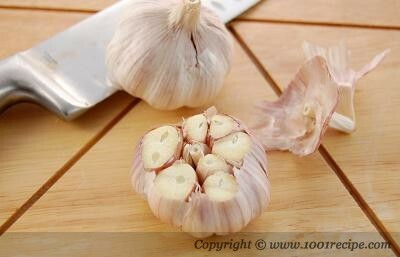 Slice off the top of the garlic bulb to expose most of the cloves. 3. Slice tomatoes in half. 4. 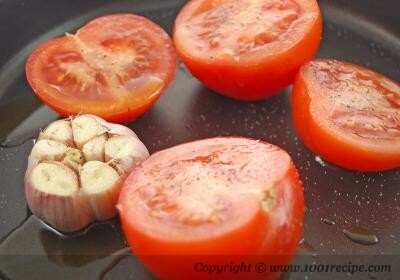 Transfer garlic and tomato halves into an oven proof pan and drizzle olive oil over them. Sprinkle salt and pepper over them and roast in the oven for 45 min or until garlic is golden and tomatoes are soft. 5. After removing from the oven, squeeze out the softened garlic and peel tomatoes. 6. 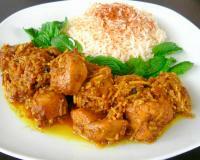 In a saucepan, saute chopped onion with some oil for 3 min or until soft. Add 2 cups of vegetable stock and bring to boil. 7. Add garlic, tomatoes, coriander, paprika, thyme, cayenne pepper and butter. Simmer for 3 min on medium heat and stir occasionally. Season with salt and pepper if needed. 8. Let it cool down for a while before pureeing in a food processor. 9. 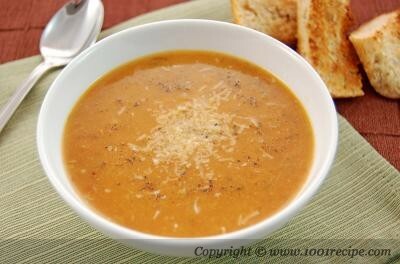 Pour the soup into serving bowls and grate Parmesan cheese on top. Didn't have a food processor on hand, so this came out more like minestrone. I might add an extra tomato next time, but otherwise, this recipe is perfect. Definitely a keeper.Thanks!!! Simple to make and when you're roasting the tomatoes and garlic the house smells great. Very tastey with a little spice. this soup has become my fall favorite, I make it over and over again. I double the whole recipe and add in even a few more tomatoes! Love it! So does anyone I serve it too! The soup was good, but not what I expected. My only changes (which may have made a huge difference):Used chicken broth instead of vegetable; Used 4 medium tomatoes instead of 2 large. Another problem I predicted was the Thyme. I used the 1/2 tsp. suggested, but as soon as I added it I was worried it would be overpowering... and in my novice opinion, it was.I think next time I'll use the recommended veggie stock, and use 1/4 tsp. Thyme instead.